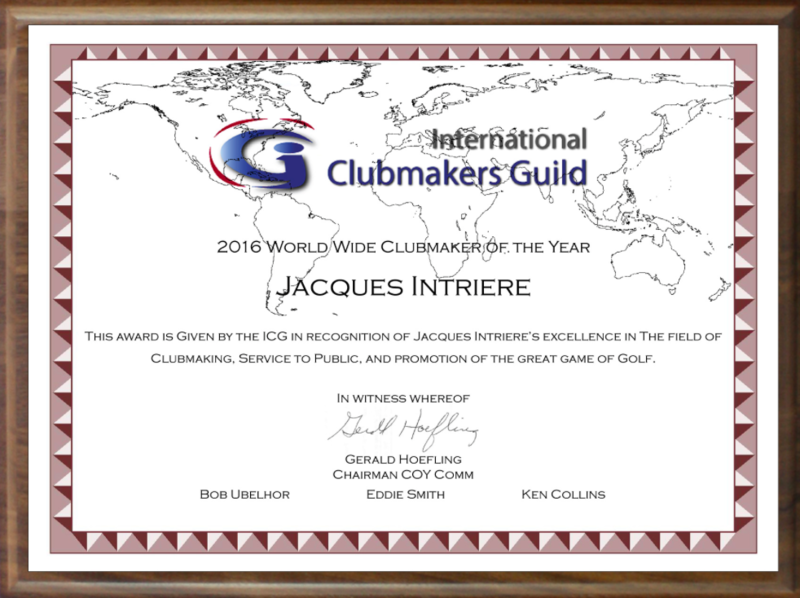 ICG Certified Member Jacques Intriere is the 2016 ICG Worldwide Clubmaker of the Year. He owns and operates the Greenwich Golf Fitting Studio. "I am honored and humbled to receive this recognition. My success comes from the support of family, mentors (including many ICG members), and the patronage of my customers. I am fortunate to be able to make a living providing services which help people get more enjoyment out of their golf games. I'd like to think that I'm in the happiness business. My ICG membership helps me continue to improve my skills and services through continuing education via webinars from our ICG sponsors, strong PGA Show presence, active forums, Task Force participation, regional chapters, networking with some of the best club fitting and making professionals in the business, marketing opportunities via our Google maps and exclusive partnership with GolfMDs.com, and so on. Professional growth cannot occur in a vacuum. The day I stop learning and growing is the day I'll leave the golf business. Thank you ICG."